On 28th March 2014, Mr. Milind Deora attended a meeting with Bharat Diamond House at Bandra Kurla Complex (BKC) in Mumbai. 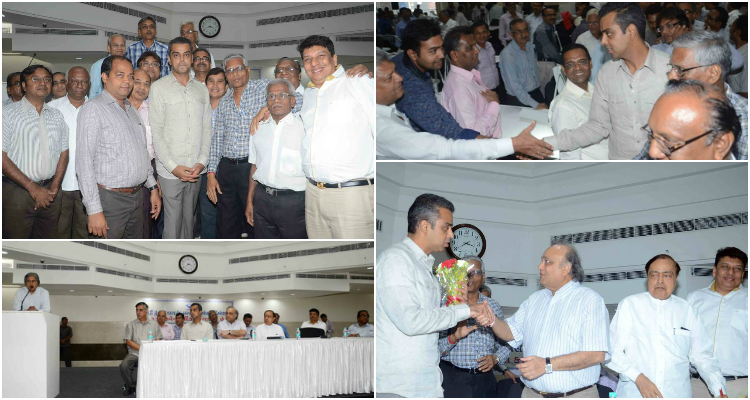 Mr. Deora was also felicitated for his longstanding support to the Diamond Merchant’s Association. The Diamond Merchant’s Association also pledged that they would render full support to Mr. Deora for the third time in the forthcoming elections.